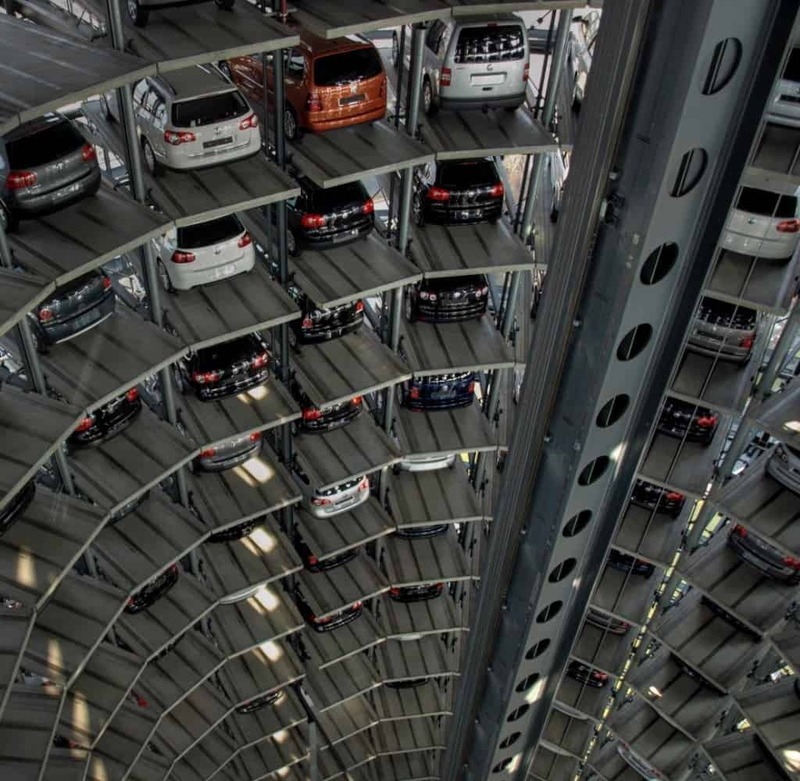 Japan has always been known as the most advanced country when it comes to technology and incredibly forward thinking when it comes to pretty much everything else. Sometimes that creativity and not giving a single flying thought about what other people think can go from just a little bit weird to shocking. That’s why it’s always good to inform yourself about potential weirdness that may come up when visiting countries and we’re here to inform you about ten of the craziest things that you can only find in Japan. Because Japan is severely overpopulated, everything is crammed into tiny spaces. 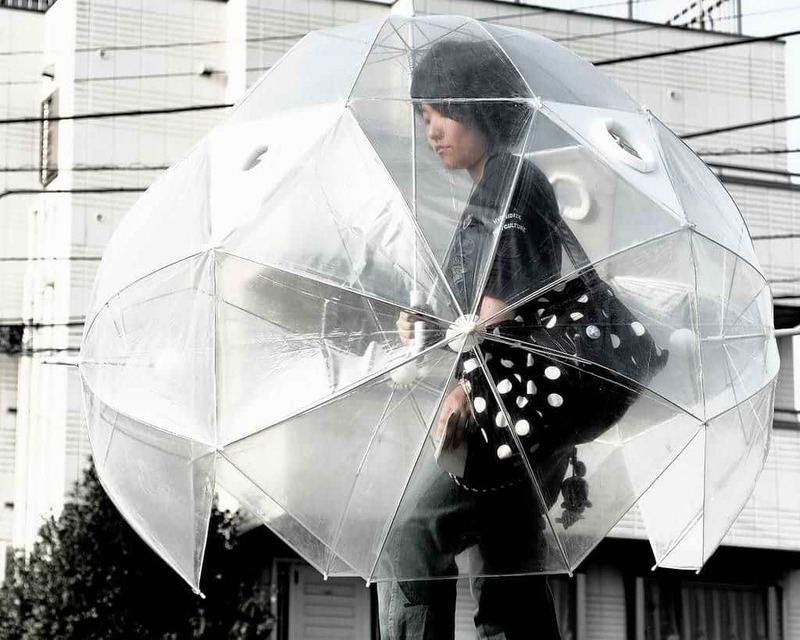 That’s why you’ll need to learn how to park in a completely different, bizarre way..
Because regular umbrellas are just not cool enough. 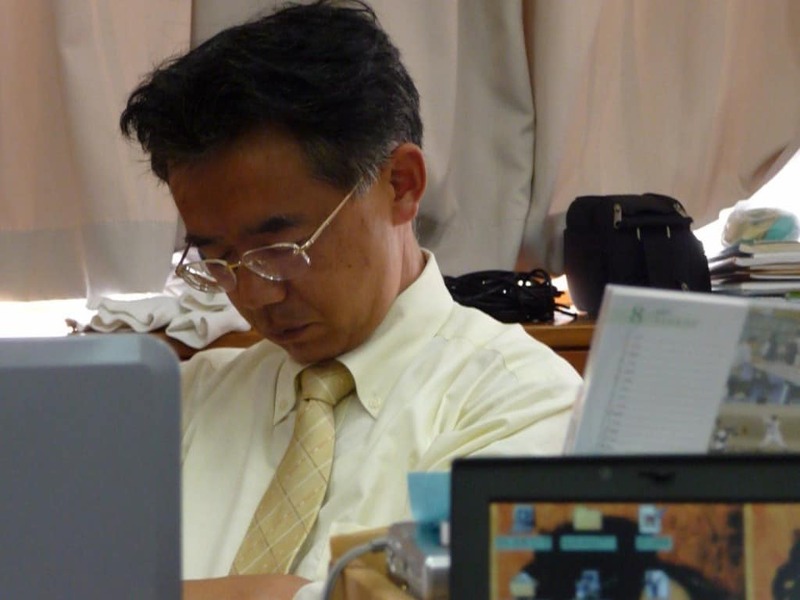 In Japan, sleeping in the office is considered a sign of working hard and is actually thought to be desirable. Because the toilet floor is so dirty, guests and members of the family are to wear special slippers for the bathroom in order to prevent the germs from toilet to be spread to the rest of the house. 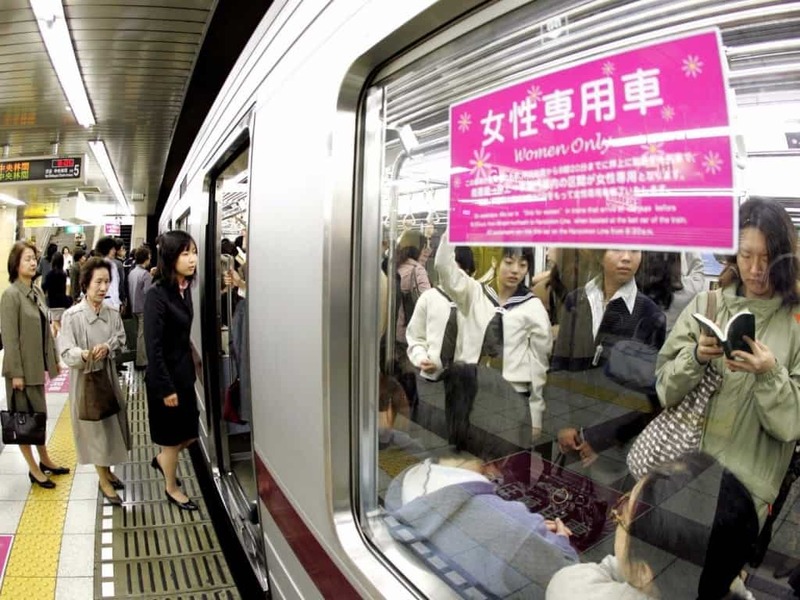 Due to the fact they work incredibly hard, the Japanese also sleep in the subway. And because subways are crammed with people, they use chin supporters to rest while standing. Japanese women are going ballistic over accentuated teeth known as the “yabea”. In fact, they spend incredible amounts of money for plastic surgeries that make them look as if they have mini fangs. 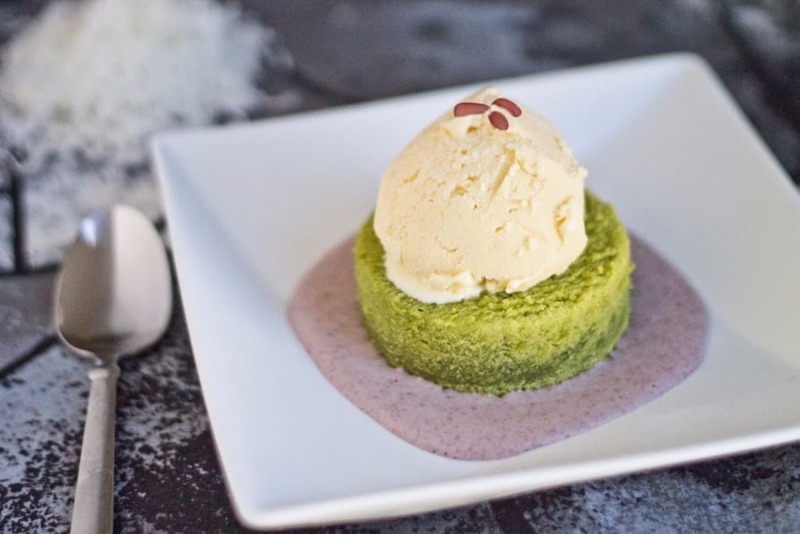 Forget chocolate and vanilla, in Japan the preferred ice cream choices are horse meat, cactus, charcoal and octopus. 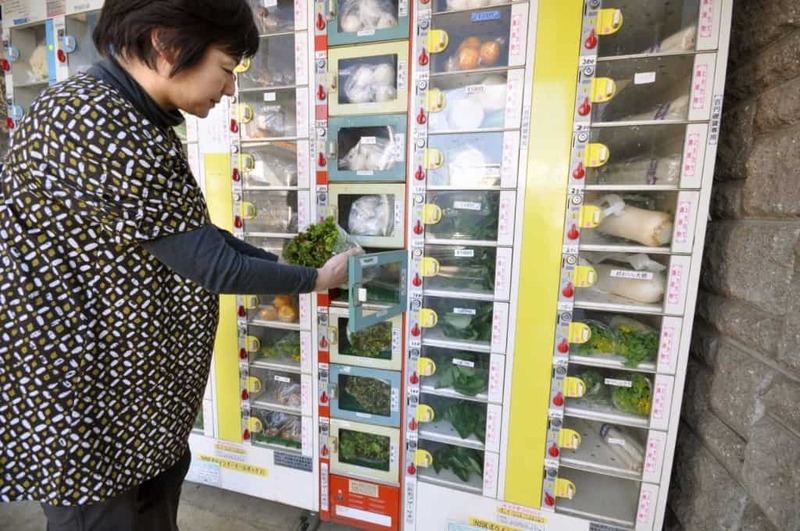 Japanese vending machines are not only everywhere but they also offer everything. From eggs to crepes to batteries, Japanese people know what you somehow always need at 2 am on a Sunday. 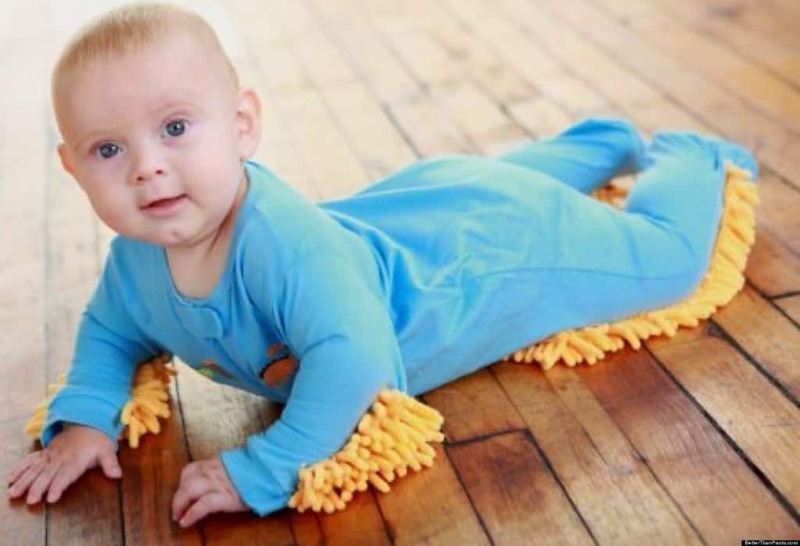 Why not employ your baby to mop the floor while they are learning to crawl? Well this is exactly what the Japanese did. The mop is actually a one-piece with built-in mops on the arms and legs. For the men who miss their wife or simply don’t have a significant other, lap pillows are available for only a few dollars at pretty much all the stores.